Today, at the HL7 Policy Conference, Chuck Jaffe announced The Argonaut Project, an effort to accelerate Fast Health Interoperability Resources (FHIR) in response to the 2013 JASON report, A Robust Health Data Infrastructure, the 2014 JASON report, Data for Individual Health, and the JASON Task Force recommendations. 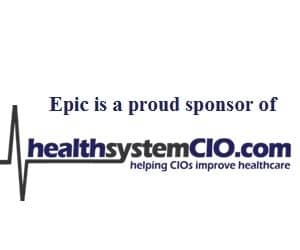 In a vendor neutral approach, Cerner, Epic, Meditech, Athena, McKesson, The Advisory Board and several provider organizations agreed to provide acceleration funding and political will to ensure that HL7 implementation guides which enhance query/response interoperability are available by May 2015. Two FHIR profiles implemented via a public, RESTful Application Program Interface, protected by OAuth2 are needed. The first is the discrete data elements specified by the Meaningful Use Common Data Set. The second is document retrieval. Race – the standard specified in § 170.207(f). Ethnicity – the standard specified in § 170.207(f). Preferred language – the standard specified in § 170.207(g). Smoking status – the standard specified in § 170.207(h). Medications– at a minimum, the version of the standard specified in § 170.207(d)(2). Medication allergies – at a minimum, the version of the standard specified in § 170.207(d)(2). Laboratory test(s) – at a minimum, the version of the standard specified in § 170.207(c)(2). Vital signs – height, weight, blood pressure, BMI. Care plan field(s), including goals and instructions. (i) At a minimum, the version of the standard specified in § 170.207(a)(3) or § 170.207(b)(2). (ii) Optional. The standard specified at § 170.207(b)(3). (iii) Optional. The standard specified at § 170.207(b)(4). Imagine the ecosystem of apps that could be created if simple read/write interoperability of these data elements was available in all mainstream EHR/PHRs with security controlled by the user of the EHR/PHR. ONC also posted a blog describing on the importance of data liquidity among all patients, providers, and payers. As I’ve written previously, it’s a perfect storm for innovation when stakeholders, resources, and political will align. The Argonaut Project is a great example of policy and technology solving real problems in a reasonable timeframe driven by the value proposition that interoperability via open standards benefits all.